HIS DEADLIEST WEAKNESS. HIS MIGHTIEST ENEMY. HIS DARKEST HOUR... He's faster than a bolt of lightning. He can stop a missile with two fingers. He can mold titanium between his molars like gum. But there is one substance that can tear Superman apart from the inside out. And there is one being whose power makes him look like a mere mortal in the clutches of an angry god. The weapon is Kryptonite. The enemy is Darkseid. And unless he can find a way to fight them both, the Man of Steel is doomed! 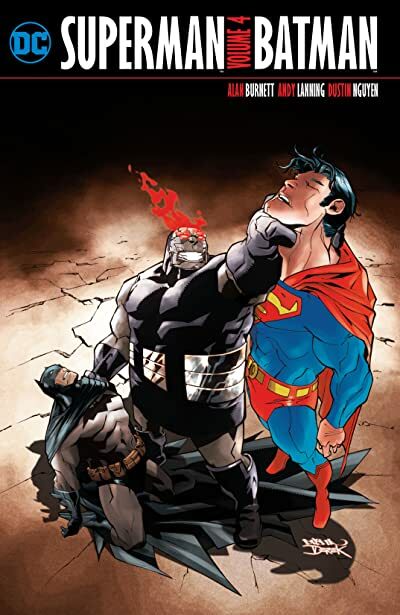 In this incredible collection starring the most iconic superheroes in comics, the Man of Steel and the Dark Knight face two of their greatest challenges. The Search for Kryptonite sees Superman and Batman scouring the planet to rid the world of Kryptonite, the one weapon that can kill the Last Son of Krypton. And in Torment, the two heroes face the fight of their lives against the God of Apokolips and his sadistic disciple Desaad. A trio of TV's best superhero writers—Michael Green Mike Johnson (HEROES) and Alan Burnett (the BATMAN BEYOND animated series)—joins artists Shane Davis (SUPERMAN: EARTH ONE VOL. 1 & 2) and DUSTIN NGUYEN (BATMAN: L'IL GOTHAM) in this collection of SUPERMAN/BATMAN #37-49 and SUPERMAN/BATMAN ANNUAL #2. It's the World's Finest Heroes at their best!